A highly recommended hotel for both business and leisure travellers. 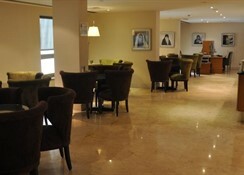 01/10 MW LocationThe hotel is located in a residential area, close to the airport. The International Congress centre is within easy reach. Distance18 kms to city centre3 kms to the nearest airport (cairo international airport)7 km to the nearest station (almaza bus station)10 km to the nearest fair site (cairo int'l conference) RoomsRooms are medium sized and in excellent condition. All rooms are tastefully furnished. RestaurantThe restaurant on the ground floor is open for breakfast in the morning. 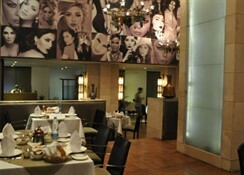 During lunch and dinner a big variety of cuisine is offered a la carte. ExteriorA modern, purpose built building. LobbyThe lobby large lobby is in atrium style. From the lobby there's access to the hotel bar and coffee shop. This hotel is located 19km from the Egyptian Museum and 31.5km from the Giza Necropolis, the complex that includes the Great Pyramids and the Sphinx.Facilities and services include a swimming pool, bar, restaurant, elevator, garden, conference room, business center, children's playground, parking (extra charge), wireless Internet access and 24-hour reception. Rooms feature air conditioning, telephone, TV, mini bar, wireless Internet and safety box. Address: Abdel Hamid Badawy Street, Cairo, Egypt. The business hotel features modern dÃ©cor, Select Comfort beds and a seating area. A large breakfast buffet is offered each morning, while wireless Internet access is also available. 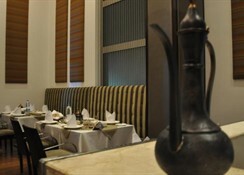 LocationThis hotel is located in the elegant district of Heliopolis, in Cairo. 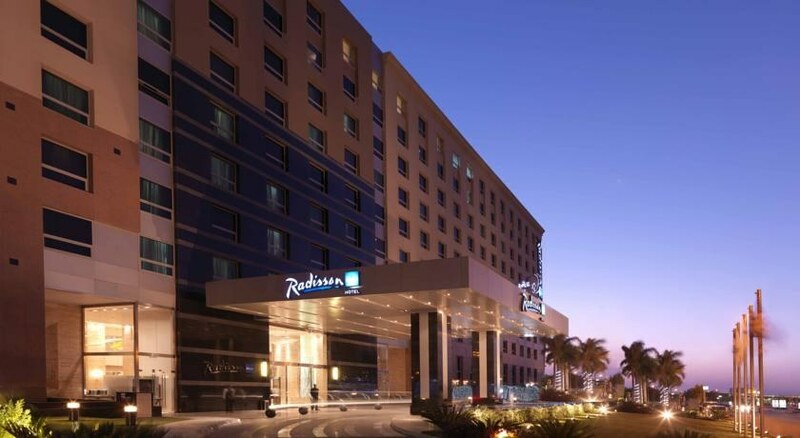 The Giza Pyramids are a 30-minute drive away and the hotel also offers a shuttle service to Cairo International Airport, which is just 3 km away. RoomsAll rooms come equipped with an en suite bathroom with shower, bathtub and hairdryer, and offer a double or king-size bed. The rooms also come with a TV, minibar, ironing set and individually regulated air conditioning as standard. SportIn the spa centre guests can enjoy a massage or relax in the steam bath. 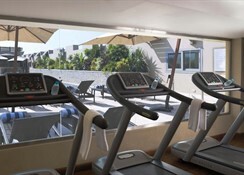 The hotel also has a gym and hot tub, not to mention a rooftop swimming pool with panoramic views of Cairo. MealsA breakfast buffet is served each morning at the hotel. Lunch and dinner can be enjoyed Ã la carte. PaymentThe hotel accepts American Express, MasterCard and VISA as methods of payment.